Home and Income in the Country! Description: This gorgeous 1930's bungalow set on 8898sqm (2.2 acres more or less) of pristine landscaped land will impress you with its multitude of options and convenient location to Mangawhai village. Two generations can easily reside here and still feel plenty of independence from each other. The main homestead is a superbly decorated bungalow with a mix of original and modern features. The modern country style kitchen and dining room is ideal for the relaxed rural family life. Four generous bedrooms, main bathroom and separate laundry/toilet make for an inviting family home. A second living room offers a great space for teenagers to hang out and chill while the main bedroom and both lounges lead out on to the huge verandah creating fantastic indoor-outdoor flow to the salt water swimming pool. This is an entertainer's paradise, with bonuses abound. A stand-alone double garage with large office with built-in workstations makes an ideal work from home business. Add on the covered storage area and large woodshed plus ample parking for the boat, the ride-on mower and the toys! 'Next door' you'll find a completely separate renovated barn, perfect for extended family with several comfortable rooms, kitchen, cosy wood burner and bathroom. Imagine the convenience of seeing the grandparent's every day, yet enjoying independent living. Alternatively, take advantage of the shortage in Mangawhai and generate a passive rental income as an office or workshop space less than 3kms to Mangawhai Village. Wait there's more...add a separate gorgeous self-contained cottage, creating that extra living and bedroom space for the visitors, or perfect for a boutique-style business. You really need to view this to appreciate the range of opportunities awaiting at this property. You'll fall in love with this charming lifestyle property and all it has to offer. 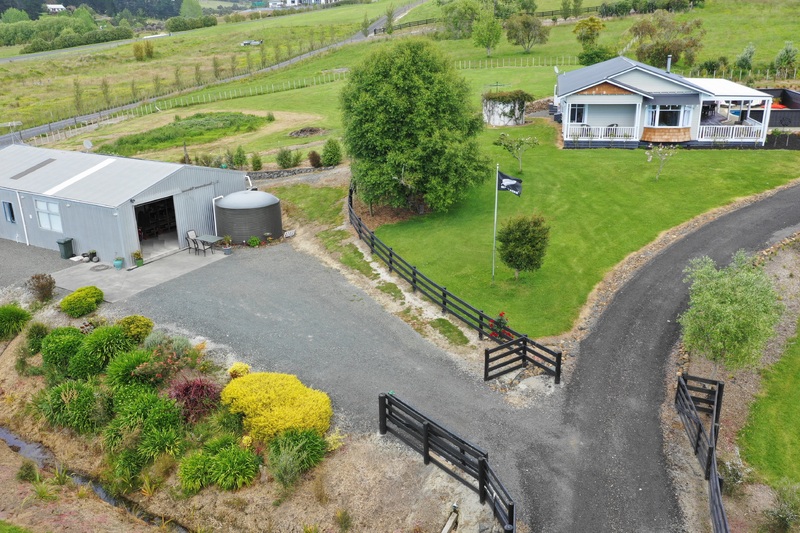 Rural living at its best, yet so close (a three minute drive) to the rapidly growing Mangawhai and local school and only 8 minutes to the Magical Mangawhai Heads beach. Call me now to make an appointment before someone else snaps up this piece of paradise! Contact RE/MAX Realty Group Today!!! Email RE/MAX Realty Group Now!